Gary Daverne was Eldred Stebbing’s cousin and an accomplished musician who played keyboards and saxophone on many Zodiac releases, often uncredited but also as a member of both Red Hewitt and the Buccaneers and The Embers, two important early rock and roll bands. In 1962 Daverne set up his own label, Viscount, initially distributing independently (just two singles) before Eldred was asked to oversee Daverne recording The Embers at a studio in the May Road Community Hall in Mt Roskill. During the session Eldred made a suggestion to Daverne, saying "Hey, you and I are cousins," offering to take Viscount under the wing of Zodiac Records and the much bigger Stebbing marketing and distribution set-up. "That started a lifelong relationship with Eldred – we did all the Buccaneers recordings with him and then the relationship just grew and I started recording with him at the Saratoga Ave [in Herne Bay] Zodiac studios. And it went from there. Ray Columbus will never know how much input I had into 'She's A Mod' for example, because we discussed every project [Eldred] did. He had the Zodiac label, I had the Viscount label, and we also had the joint Zodiac-Viscount label", he told this writer in 2012. Eldred underwrote the label’s recordings and provided both manufacturing and distribution. Daverne did pretty much everything else on the Viscount releases – A&R, producing, arranging and marketing. 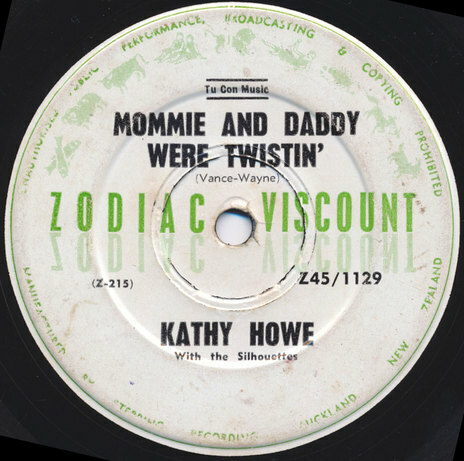 The Zodiac-Viscount label releases were marketed by Zodiac. 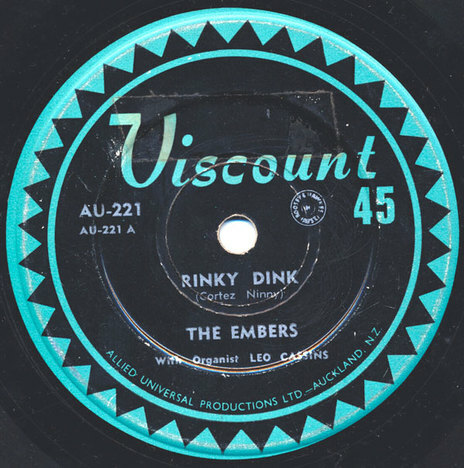 The first release was The Embers with ‘Rinky Dink’. 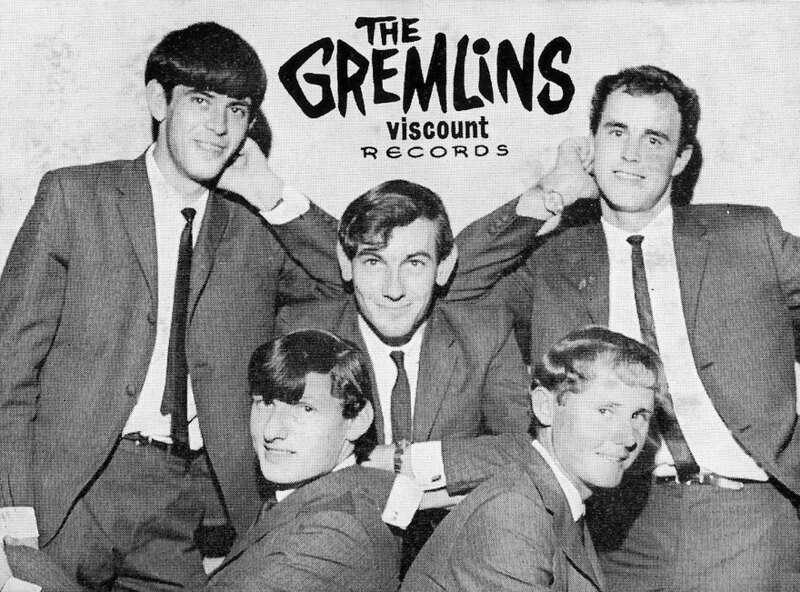 The band included Glyn Tucker who would go on to form the label’s most successful group, The Gremlins. The second single was Steve Ellis with ‘Keep Your Hands Off My Baby’ and after the move to Zodiac, The Glendelles, a girl group from Glendowie with ‘Sally Goes Round The Roses’. At the time, Daverne was also the music teacher at Glendowie College in East Auckland and he'd formed the group to provide backings for his label. 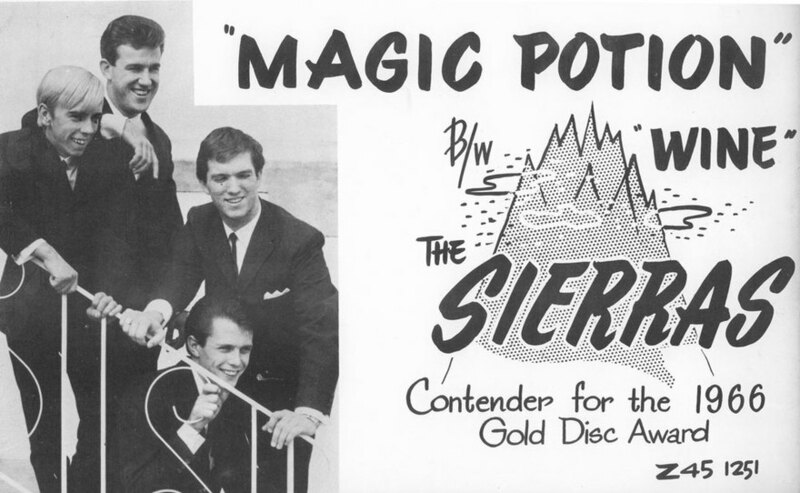 Aside from The Embers and The Glendelles there were successful records by Cathy Howe (nine singles), The Sierras, The Fair Sect, the first release by the soon-to-be huge (on HMV however, not for Daverne) Mr. Lee Grant (on Zodiac-Viscount) and perhaps most importantly The Gremlins, a poppy-garage band led by Glyn Tucker. 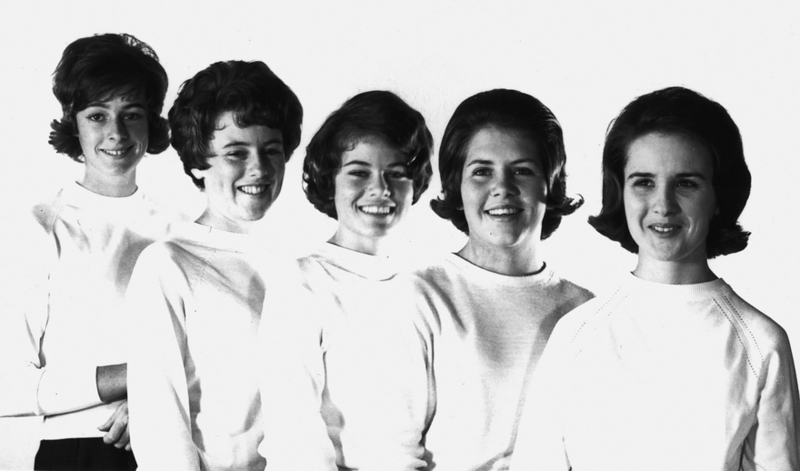 Signing to Viscount in 1966, their debut ‘Coming Generation’ was a No.2 New Zealand smash hit, which they followed with a string of successful releases across the next three years, moving to Zodiac when Viscount wound down. Daverne also recorded Ian Saxon (as Ian Saxon and The Creditors), later to become a major player in Australia’s drug underground and notoriously deported back to NZ after a long jail term in 2008. The Viscount label’s 1960s association with Zodiac ended when Daverne relocated to London in late 1966, with the majority of the acts signed to Viscount being released from their contracts, or – in the case of The Gremlins – moved over to Zodiac, where they would enjoy more success. However the label was revived in the late 1970s, a few years after Daverne's return to New Zealand, based this time out of the new Mandrill Studios when Daverne became a partner in that business, with Dave Hurley and former Gremlin Glyn Tucker, causing a rift with cousin Eldred who was less than happy to see his protegé involved with the competition. The second incarnation of Viscount issued albums by a wide variety of acts in the late 1970s and 1980s, including Noel Parlane, Larry Killip, The Hi-Marks, Billy T. James, many of which were not branded Viscount (unless you read the fine-print) but released via RCA, CBS and even K-Tel. A fallout with the Mandrill partners saw Daverne moving briefly to Doug Rogers' Harlequin Studio in Albert Street in Auckland's CBD, before the two cousins – Eldred and Gary – made up and Viscount returned to Stebbings, this time in the new Jervois Road studio, where the label and Gary Daverne have worked since, with Daverne also working as an in-house producer. There have also been various soundtracks and projects by Gary Daverne, long regarded as one of New Zealand’s pre-eminent composers, arrangers and producers, and perhaps the most prolific ad producer of his era with over 500 credits. The label continues today, with a strong reissue policy including much of the classic 60s catalogue, now distributed by Ode Records and digital distributor DRMNZ.